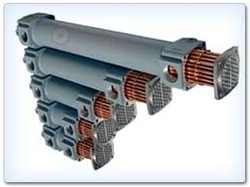 The company has emerged as one of the leading manufacturers and suppliers of Heat Exchanger. We offer a wide range of Heat Exchanger for specific industrial applications. Our Heat Exchanger are energy efficient and ensure long performing life.